My fiance gave this to me yesterday and I squealed joys of delight as I realized I’ll never have to eat another stale or squished cupcake. So brilliant! 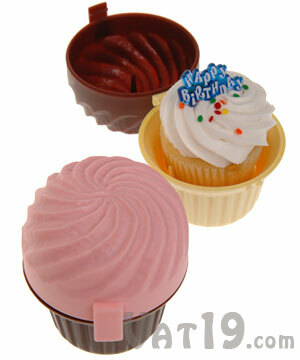 These adorable cases fit a standard baked cupcake, and has a tiny pin at the top that holds the cake/frosting still to prevent it from crashing to the top.